ENTERTAINMENT WEEKLY: Just from the promo, you can tell that your character, Beverly Goldberg, is a fan of guilt. WENDI McLENDON-COVEY: I’m not saying it’s the right thing to do, but it is effective. Moms throughout history have relied on that as a manipulation tool. So yes, my character does that a lot. She’s the kind of person who probably really wanted to work but she didn’t, she chose to have kids. So that house is her corporate office and her domain, and when you come in and try to make suggestions, that doesn’t fly. You take her out of her routine, that doesn’t fly. You mess with her kids — granted, she probably says things that are way worse to them — she’s very, very protective. Biggest cheerleader and worst enemy. What kind of direction has Adam given you about playing his mother? Has the show made you think of things you’d rather not remember? Acting as a mother to these kids [Sam Giambrone, Troy Gentile, and Hayley Orrantia], I can go right back to how I felt when I was trying to grow up and establish my own identity and my parents kept trying to thwart me at every turn. Pulling away from your parents, that’s the natural thing to do, that’s how life progresses. But now I feel like, Oh, that hurts my heart. Now I know how my mom felt, and yes, it makes me think about things I’d rather not think about. But it’s mostly been a joy. I now feel like those kids are my kids. Working with Jeff [Garlin, who stars as dad Murray] and George [Segal, who plays grandpa “Pops” Solomon] is the biggest gift. So I’m thrilled to do anything, and all the nostalgia, that’s just icing on the cake. 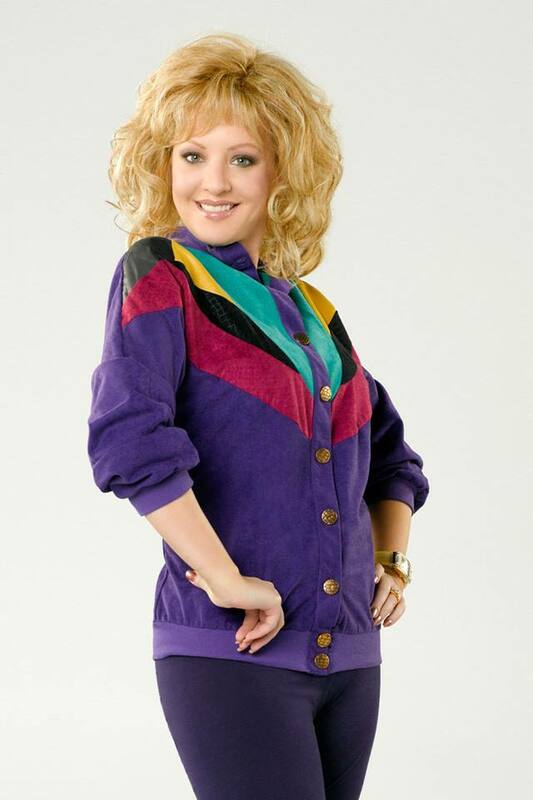 The Goldbergs premieres tonight at 9 p.m. ET on ABC. McLendon-Covey told us after the interview that her mother is hosting a premiere party to watch with friends.